Box is one of the go to clouds if you are looking for a cloud for business. However, they also offer 10 GB for free and plans for private users. Protect your Box with Boxcryptor’s end-to-end-encryption, to make it as private and secure as your hard drive at home. Thanks to the zero knowledge standard, no one but you can access your data; not us, not Box, nor any other third party. Only end-to-end encryption and the zero knowledge paradigm can make perfectly sure that your data never falls into the wrong hands. Boxcryptor works with a virtual drive. During installation it will automatically detect all your cloud providers on your machine, and add them to this virtual drive. For your first steps we recommend that you create a new folder in your Box in the Boxcryptor drive and choose to encrypt it. Copy the data that you want to encrypt into this folder. Everything you copy into an encrypted folder in the Boxcryptor drive will be encrypted automatically. This is the best part: Boxcryptor handles the encryption and you do not have to do anything. Since our encryption is on the fly, you will not notice it. You can work with your data as you are used to, as if the Boxcryptor drive were any other folder. Yes of course. 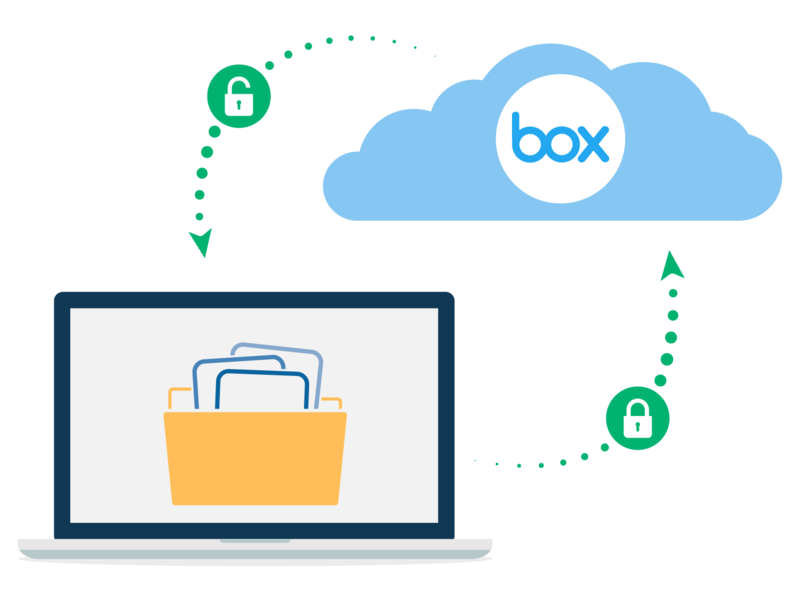 You can easily share securely encrypted files and folders with other Boxcryptor users. For sharing with friends who do not use Boxcryptor or a cloud, you can use our service Whisply, which is fully integrated into Boxcryptor. However, at this point Whisply is only available for OneDrive, Google Drive and Dropbox. It is not implemented for Box yet.